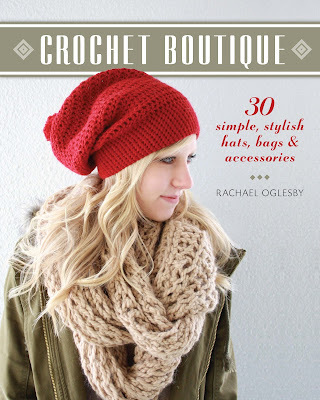 Recently, I was lucky enough to receive a review copy from Sterling Publishing of CROCHET BOUTIQUE “30 Simple, stylish hats, bags and accessories” by Rachel Oglesby, published by Lark Crafts. 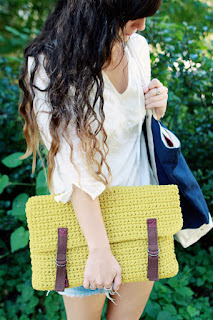 Are you looking for crochet designs that are quick to crochet yet trendy? If you like crochet accessory patterns that are simple yet fashionable, then this book is for you. 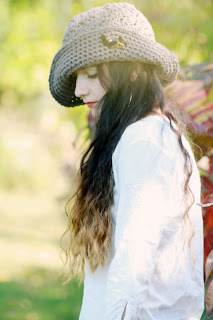 Some of my favorite items to crochet are accessories and Crochet Boutique has plenty of them. There are a total of 30 crochet patterns including 7 hat patterns, 10 scarf and cowl patterns and 9 bag and accessory patterns. Each one is stylish and trendy for today’s crocheter. Crochet Boutique has a little of everything. 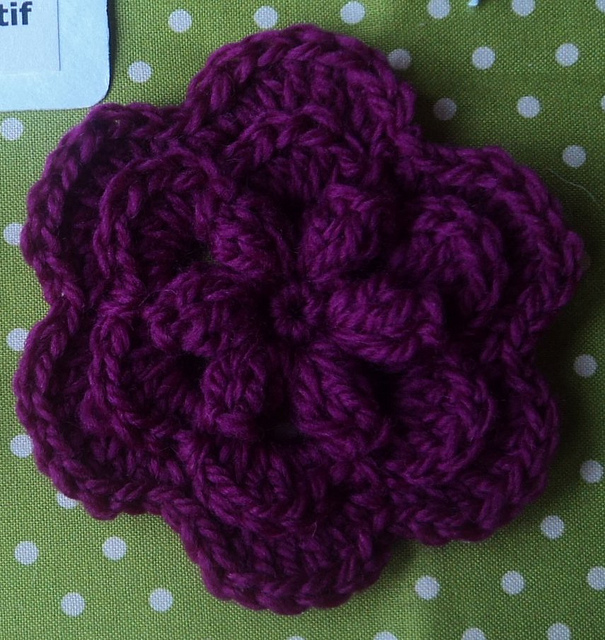 Rachel describes the crochet items herself in the Introduction: “Stylish items to adorn yourself. Cherished gifts to make for your loved ones and fashionable accents for your home”. There is a full techniques section in the back of the book that describes all you will need to know to crochet the items in this book. Since most of the designs are accessory items, they all appear to be quick to stitch. Except for the Bamboo Handle Bag (which is intermediate) they are ALL rated beginner and easy and use mostly #4 worsted or #5 bulky weight yarns. Need a quick gift for a trendy relative? This book has many crochet items that fit the bill. I can see several items that I will be making for my daughters this Christmas! 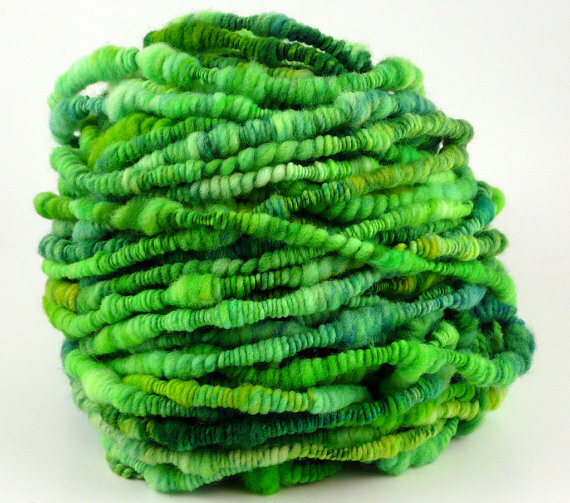 If you are on Ravelry, you can see all 30 projects HERE! Would you like to own this book? Lark Crafts has graciously offered to give away a copy of Crochet Boutique to ONE lucky winner! To be eligible to win, please COMMENT below. Let us know at least one gift you will be making for the upcoming holiday season! One winner will be chosen at random on November 1, 2012. Thanks to all who participate! Custom Crocheted Sweaters, “Make Garments That Really Fit” by Dora Ohrenstein. I was thrilled to be asked to review Lark Craft’s newest crochet book, Custom Crocheted Sweaters by Dora Ohrenstein. As a designer, I am always interested in learning all I can about garment construction and the best way to make them fit! 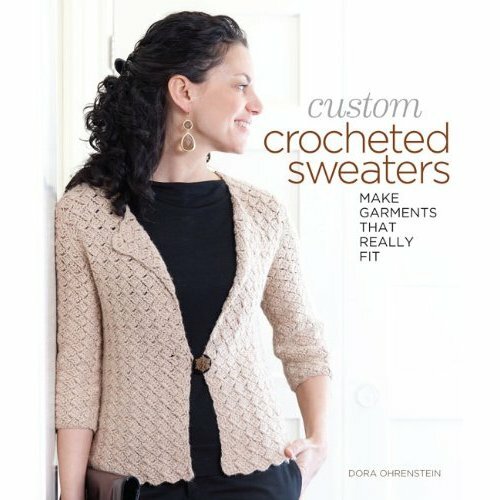 Dora’s new book specifically focuses on the construction and fit of crochet sweaters. But the contents of this book give readers so much more than that! Dora starts us off with a basic “Overview of Sweater Construction” in Chapter One where she takes us through the most common construction techniques and then continues with choosing yarns for the best drape and of course, how to measure our bodies for that perfect fit! of garment making or a beginner! There are so many design shaping and alteration techniques in this book. The sweater patterns each tackle a different construction or altering technique which include 17 ‘master class’ techniques for creating garments that fit perfectly. Brilliant! Some techniques included are: an in-depth discussion on how to alter an armhole and how to do internal shaping to create a bust dart! Each crochet pattern also has beautiful stitch diagrams that are usually left out of other books of it’s kind. What a great addition for the stitches who prefer diagrams! The photos throughout the book are stunning, with many close-up shots of the designs. Lark did a fabulous job on the photos; a lot of crochet EYE CANDY included! Sterling Publishing has graciously provided this review copy as well as one other copy to be given away to one lucky reader! The book is also available for sale at Amazon. In order to be eligible for a chance to win, please comment on this post and let us know which is your favorite sweater design from the ones that are pictured on this post above. PLEASE don’t forget to include your EMAIL ADDRESS! If you are the winner I cannot contact you without it! Contest closes next Wednesday, February 1st and a random winner will be drawn then. Thank you! THANK YOU, WE HAVE A WINNER! At Cute Crochet Chat, we LOVE any kind of giveaway! 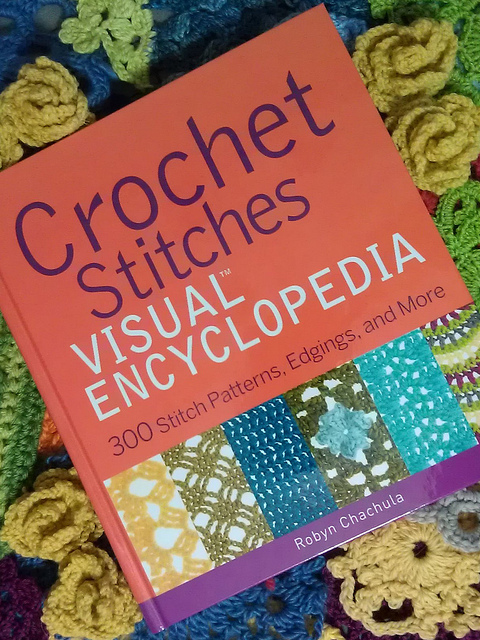 Today I am pleased to review (and give away) a wonderful new book by the incredibly popular crochet designer, Robyn Chachula. The book is entitled, Crochet Stitches, Visual Encyclopedia and is published by Wiley. It has been a while since I have seen a crochet book that is so visually appealing. This book is beautiful. But Crochet Stitches, Visual Encyclopedia is so much more than that! This is a book that you will keep in your crochet library forever. This is a book that you will browse through when you want to be visually inspired. This is a book that you will pick up when you are looking for just-the-right-stitch-pattern for your latest design or project. This is a book that you will go to when you want to LEARN a new crochet stitch pattern or when you want to EXPERIMENT with new crochet stitch patterns. Not enough? There are stitch patterns in this book that I have not seen anywhere else! Each crochet stitch pattern is accompanied by beautiful full color photographs and easy to read stitch diagrams. There are TIPS throughout the book, which will make learning and using the stitch patterns even more enjoyable! There are a whopping 36 individual crochet stitch categories, encompassing nine chapters! Included are Simple Stitches, Textured Stitches, Lace Stitches, *Unique* Lace Stitches, Colorwork Stitches, Tunisian Stitches, Square and Hexagonal Motifs, Flower and Snowflake Joining Motifs, and Edging Stitches! 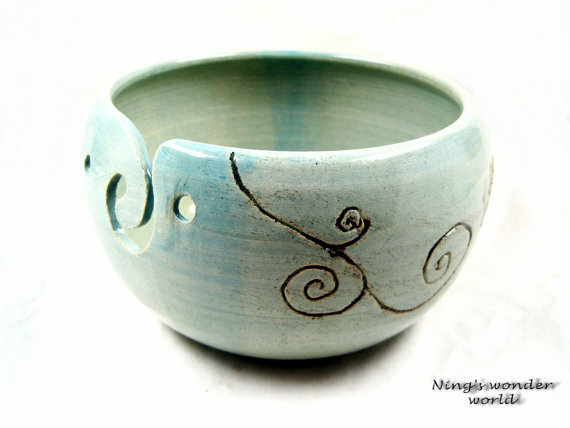 Some of my favorites are the Circular Motifs and the Partial Motif patterns. Robyn was gracious enough to answer a few questions for our readers! 1. Do you have a favorite book that you have authored? That is a hard question since I am in love or hate every book I have worked on. It all depends. Right now I am loving this encyclopedia. I have one stationed upstairs in my office and downstairs in my living room. I am coming back to it over and over while I am writing my new book. And that is exactly what I wanted to do. I really wrote this one for me, to catalog all my favorite patterns in one place. * And so far I have been really using it. But I am sure my mood will switch and I will get fall back in love with another soon. * (Reviewer’s Note) I love the fact that Robyn initially wanted to write the book so she could compile all her favorite stitches and motifs into one resource! 2. 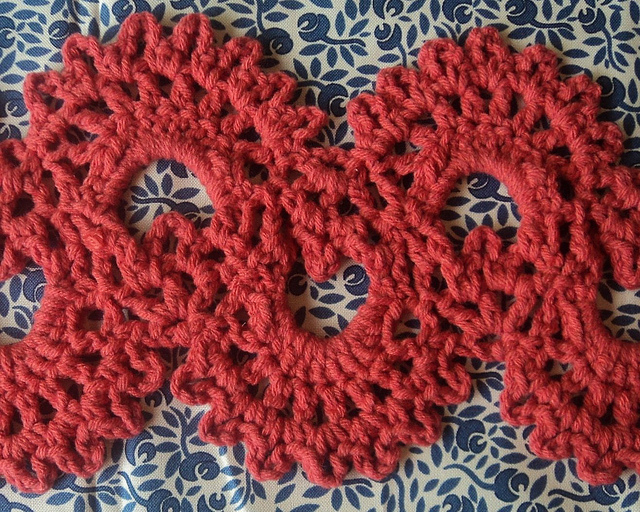 Which is your favorite crochet technique? Again, it all depends on the way the wind is blowing. I adore motifs when I am exploring a yarn for the first time. I love simple stitch patterns to highlight more challenging garment construction. I use Tunisian to relax after a stressful day; I just love the woven look some patterns can give. 3. Do you ever crochet from other designer’s crochet patterns and if so, do you prefer to follow the written instructions or a visual stitch diagram? I rarely have time to do anything but my own work. I think the last time was 18 months ago, when we were moving actually. And even then, I made up my own pattern. I do like reading patterns though. I love to see how another designer’s brain works. For me, stitch diagrams are the key to reading. I am dyslexic, and the abbreviations are incredibly difficult. That’s why I love stitch diagrams. I can follow those so much easier and really understand how a piece goes together. Thank you, Robyn, for giving us a glimpse into your design world! 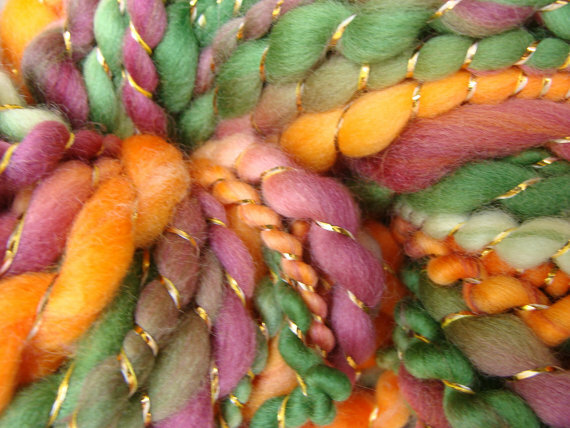 If you would like to “meet” Robyn or learn more about her new book, she recently was interviewed on Getting Loopy podcast and Yarn Thing podcast and LB YarnCraft podcast. Just for FUN, Wiley is giving away a copy of Crochet Stitches to ONE lucky reader of Cute Crochet Chat! In order to be eligible to win, comment on this blog and tell our readers how you have used crochet stitch dictionaries in the past to enhance your crocheting! 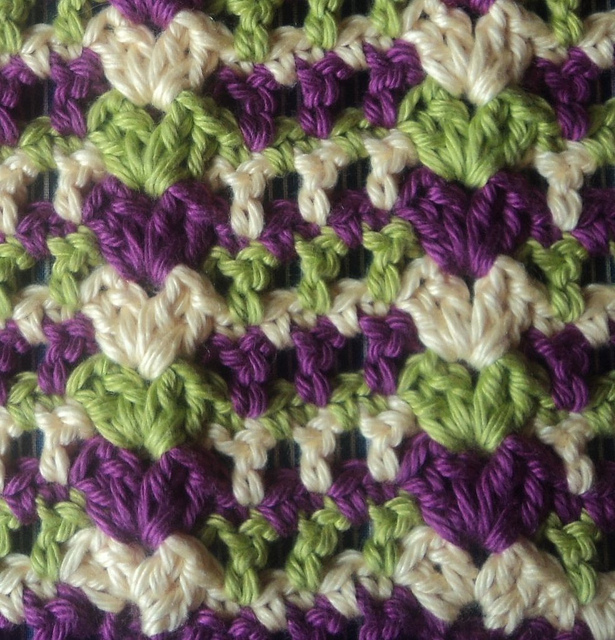 If you have not done so before, HOW WOULD you use this crochet stitch encyclopedia? Please DON’T FORGET to leave a contact email address in your comment! A thank you goes out to Wiley Publishing for providing the review copy to Cute Crochet Chat and also the giveaway copy of the book! You may also purchase a copy of this book at Amazon. 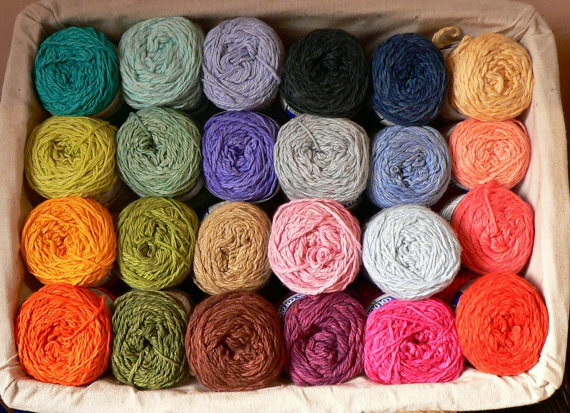 Today is I LOVE Yarn Day! 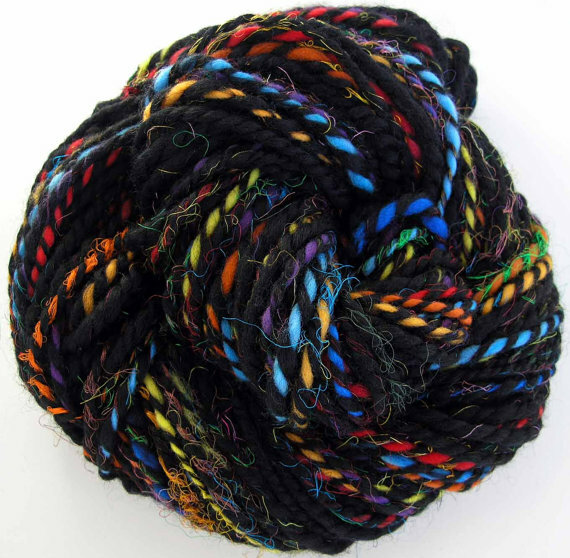 What knitter or crocheter does not LOVE yarn! 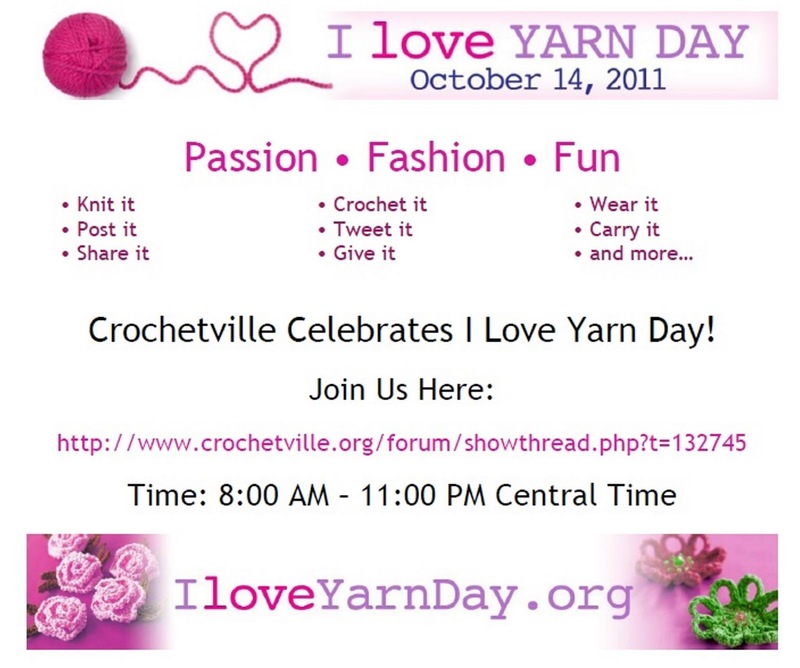 Help celebrate by visiting their WEBSITE and also CROCHETVILLE. 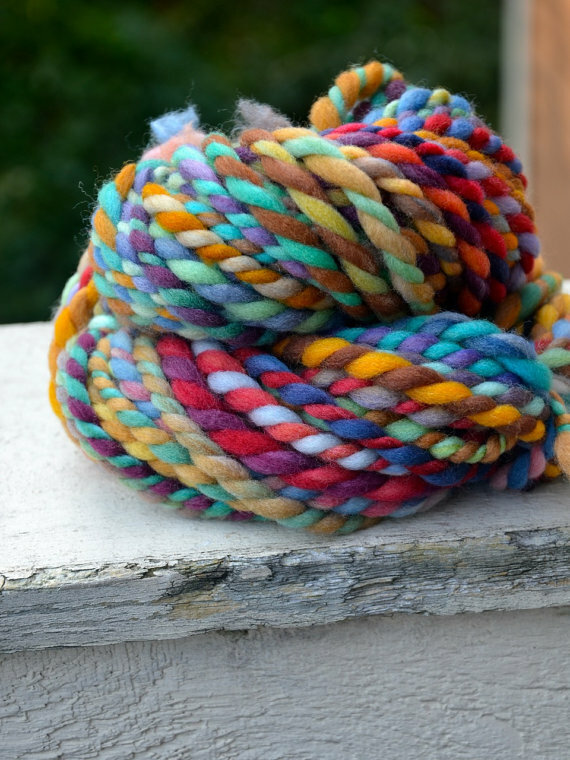 In honor of I ♥ Yarn Day, I have selected several places that have YUMMY yarn for sale. 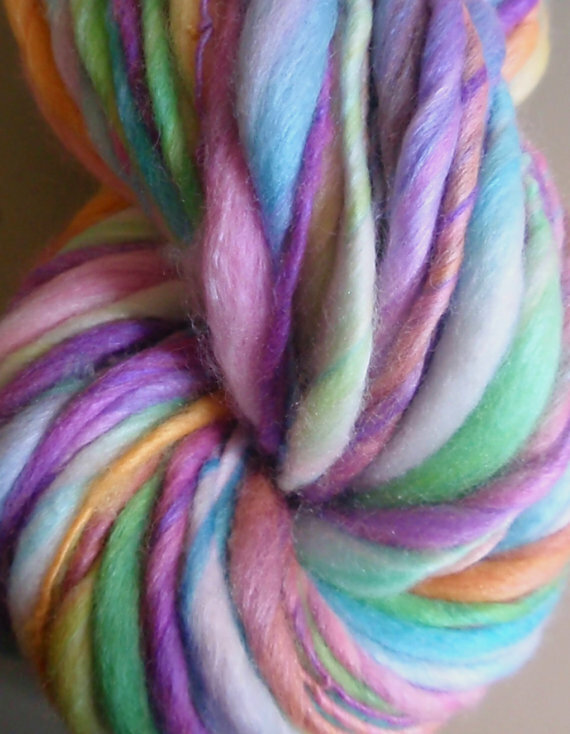 Each yarn name is linked to the site where it can be purchased! Enjoy! 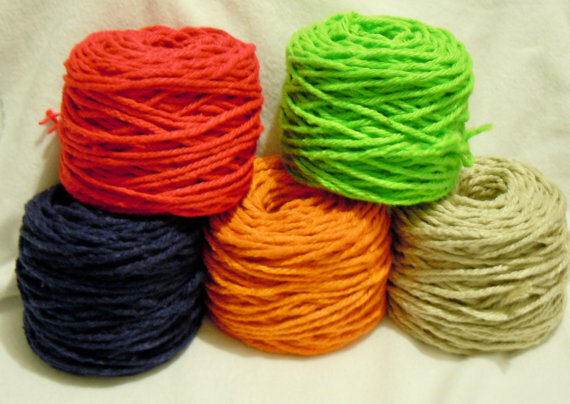 What are you doing today for Yarn Day? 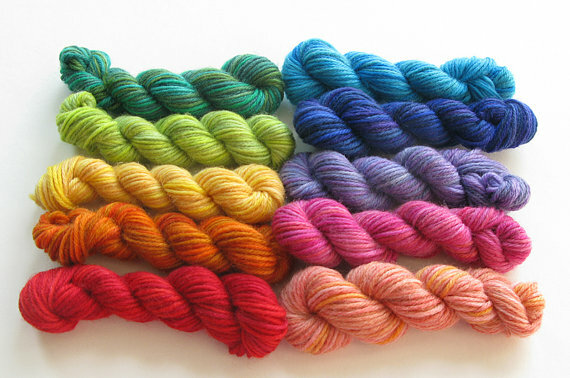 Can you tell that I LOVE colorful variegated yarn? Which is your favorite?